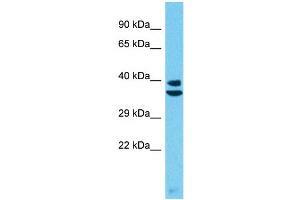 Characteristics This is a rabbit polyclonal antibody against PRSS55. It was validated on Western Blot. Background This gene encodes a member of a group of membrane-anchored chymotrypsin (S1)-like serine proteases. The enocoded protein is primarily expressed in the Leydig and Sertoli cells of the testis and may be involved in male fertility. Alternate splicing results in multiple transcript variants.